The movies, epic: Kill Bill Vols. 1 & 2, Inglorious Basterds, Django Unchained, Pulp Fiction, The Hateful Eight. 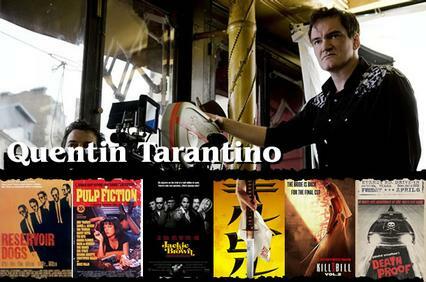 The characters, unforgettable: The Bride, Mia Wallace, Hans Landa, O-Ren Ishii, Stuntman Mike, Jackie Brown. To celebrate one of the greatest Hollywood directors, we've assembled a collection of hard-to-find collectibles from the films of Quentin Tarantino. The ultimate gift for the Tarantion fan in your life, this gigantic mystery box - with a retail value of more than $300 - includes a replica die-cast wagon, a lunchbox with thermos, a wallet, lanyards, one 8" NECA figure, a set of mini figures, socks and much more! Our CQ Celebration boxes are designed to give fans a great package of past and new items from their favorite shows and movies. Each box is limited to less than 25 pieces and will make a great gift for you or the fan in your life.